The oh-so-massive Stratolaunch aircraft seems to be getting a little bit closer to taking flight. Last year, Vulcan Aerospace began ground-based tests of the 72.5-meter-long airplane, which culminated in December with runway tests that saw the vehicle roll at speeds of up to 28mph in Mojave, California. Now, the Stratolaunch has pushed those ground-based cruising speeds even faster. 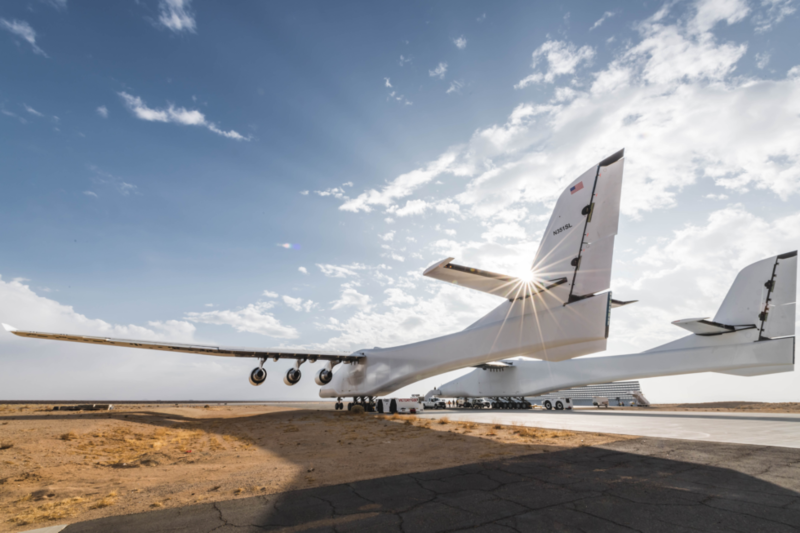 According to the company's founder, Paul Allen, the Stratolaunch aircraft reached a top taxi speed of 46mph this weekend, "with all flight surfaces in place." These tests are part of a regimen to certify the aircraft's ability to steer and stop. The company also released new photos of the plane taken during these tests that further demonstrate its incredible scale.